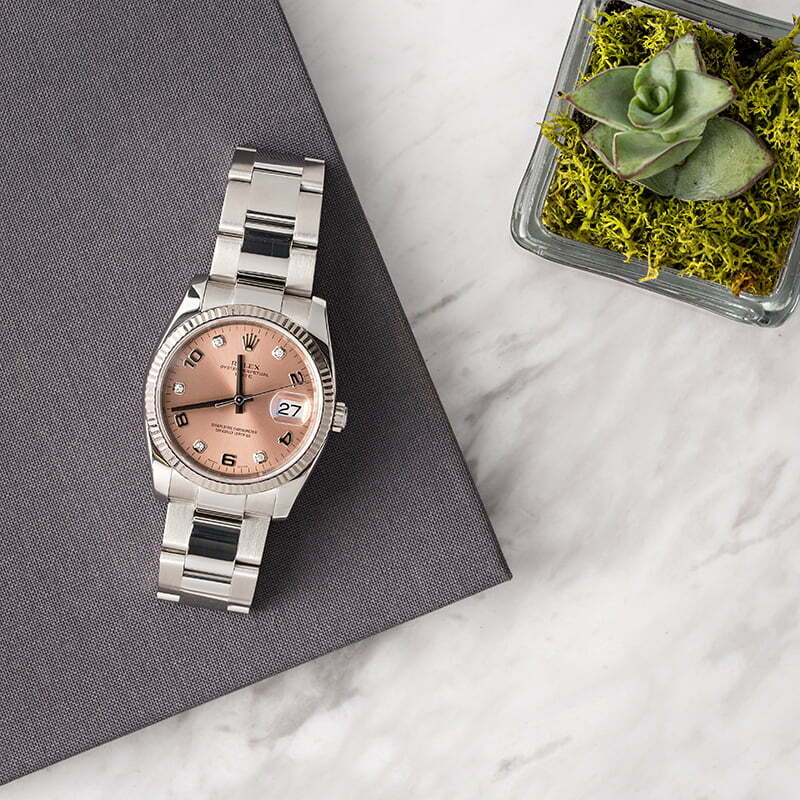 The modern Rolex Date will appeal to both men and women, offering a smaller 34mm case size, a striking pink salmon dial, and a White Rolesor finish of 904L Oystersteel and 18 karat white gold. 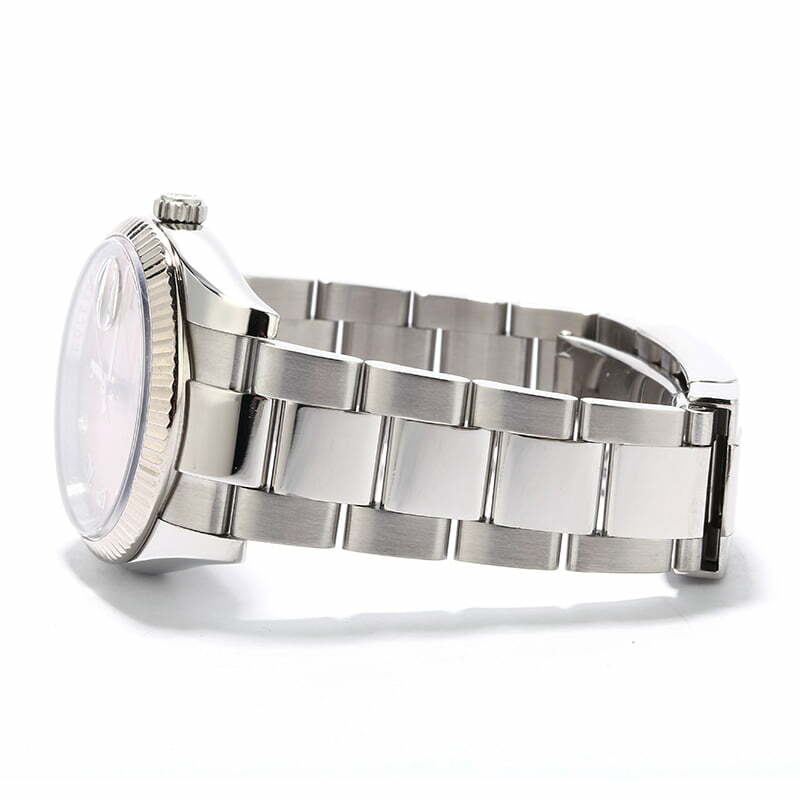 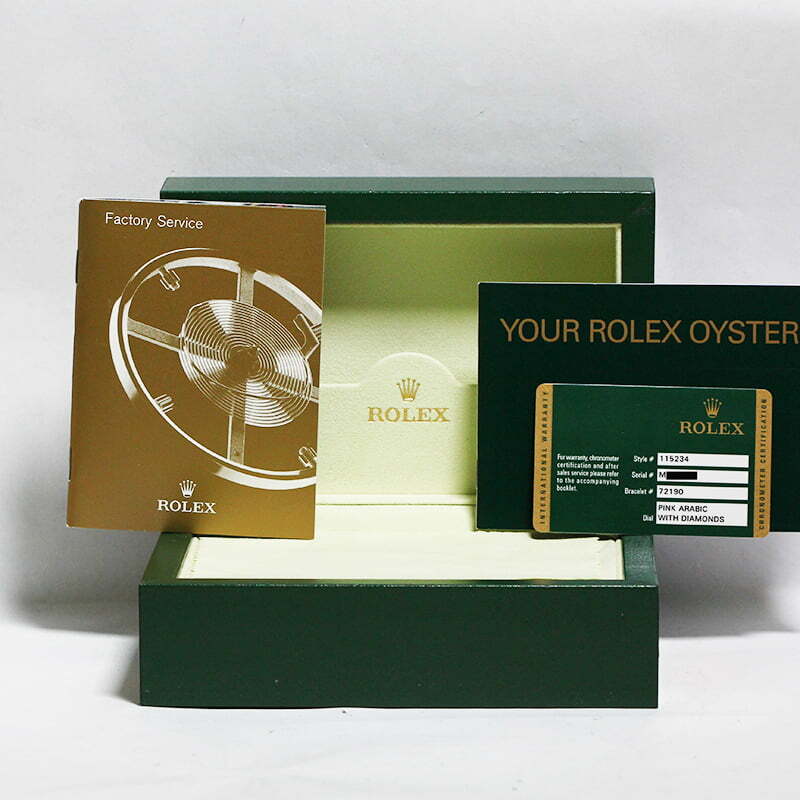 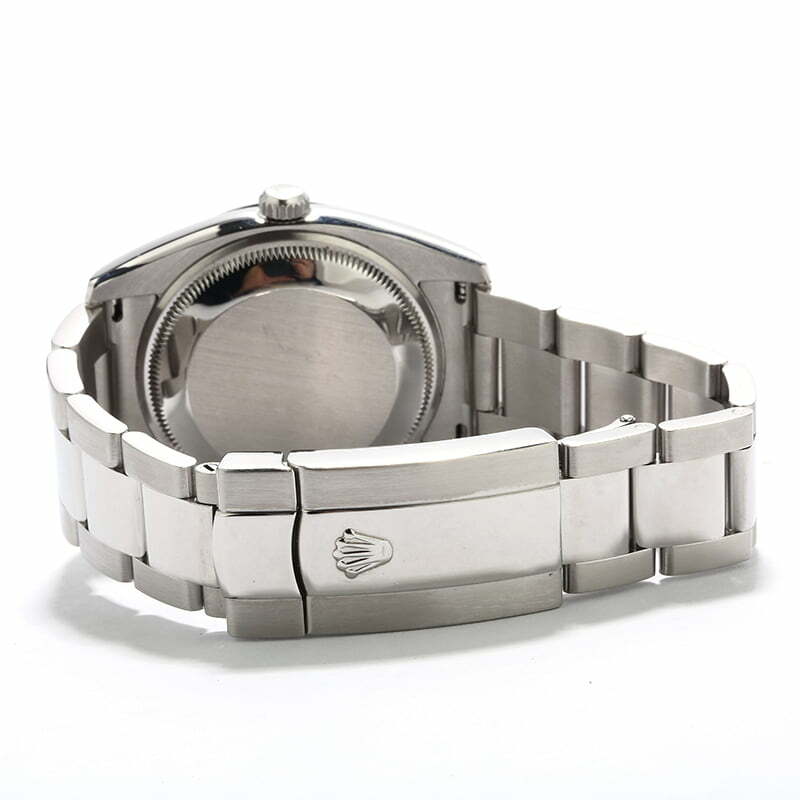 As a newer used Rolex, the case is flanked by wider lugs and wears on a heavier weight Oyster bracelet with three-piece links and an Oysterclasp. 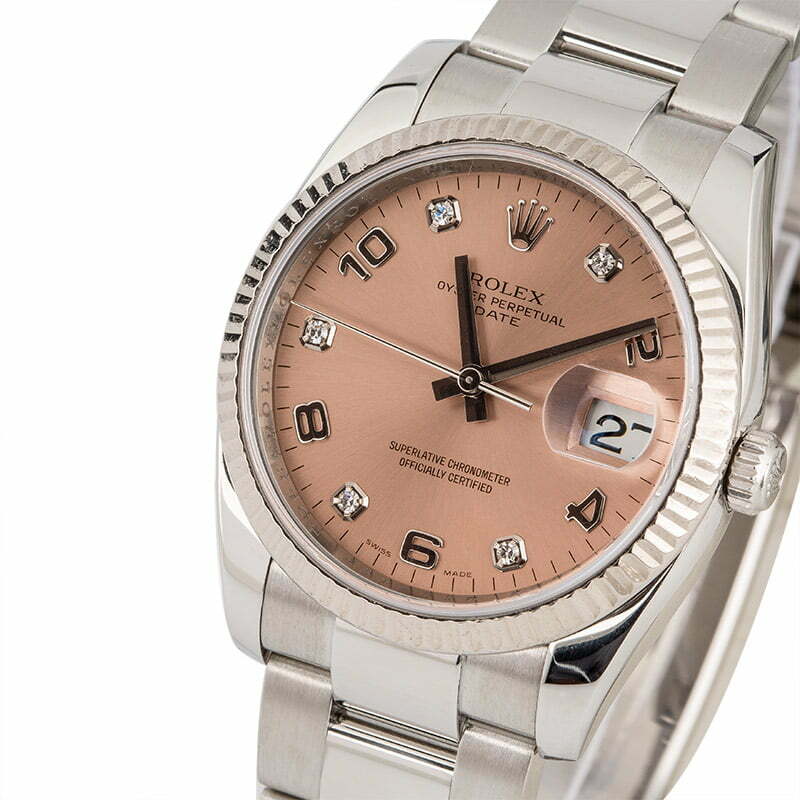 Alternating silver Arabic and brilliant-cut diamonds adorn the dial alongside a Rolex logo at 12 o'clock and a jump date at 3 o'clock, creating a striking dress reference that you will be proud to don on your wrist.